A motivational session ‘Unleashing The Spirit Of Life’ was held at WIS Atun Road,Bhilwara on Friday,October 05,2018 for the students of Grade V to VIII The Keynote Speaker was Mr Anil Choudhary, director of icon institute, ADVENT collage of excellence. He is a life Coach, a counsellor and a motivational speaker. He encouraged the students to lead a healthy and positive life. Students were introduced to an enthusiastic life and career possibilities. They learnt about importance of school and education. 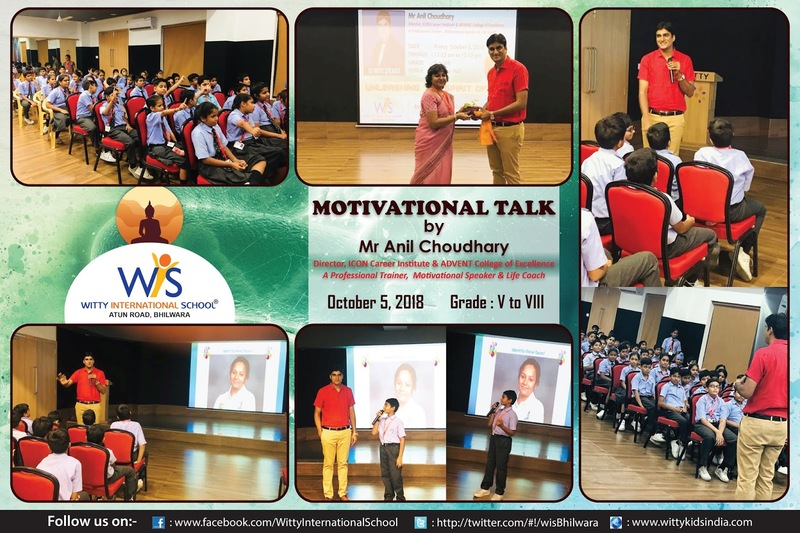 Furthermore, students learnt about the skills and education required for various career paths and steps they can take to reach their goals. It was a good learning session for all.